Does this not look delicious? 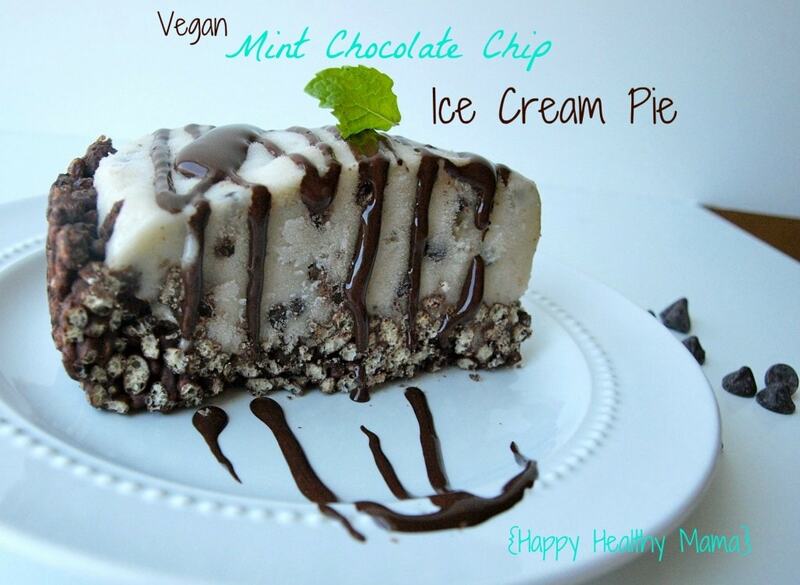 This is a Vegan Mint Chocolate Chip Ice Cream Pie. You can get the recipe and instructions for this at Happy Healthy Mama today. Today we are featuring a Babywise Mom Blogger who blogs on a topic other than parenting. Bethany, Hank, Maureen and I thought it would be great to introduce you to Babywise bloggers who have various passions. Building the Foundation for a Lifetime of Healthy Eating). She has delicious recipes that are healthy and lots of great recipes for getting various nutrients into our children. Today Maryea totally spoke my language: sweets. I love the way she writes and I love that she included some real chocolate in this recipe, “By the way, I know this could be much healthier without using chocolate chips. But come on. It’s an ice cream pie made from bananas. We can afford to have a few chocolate chips with it.” Absolutely! Go check out Maryea’s blog today. I am sure you will find several recipes that strike your interest! Next Post Babywise saved my life.